As you know, Two Door played their first show of the year last night, and what a way to begin 2019! They played an incredibly intimate show in Brussels to a lucky bunch of devoted fans! Some of you were there real early to not miss a thing, others travelled quite a bit to see the boys perform. 😊 flew this morning from Barcelona very excited ! Did I mention how devoted the basement people are? Anyway, from what I can gather, the show was quite the event! Were you there? Feel free to share your thoughts, photos and videos with us, we’d be delighted to share your stories! For those of us who weren’t there, we did get to spend a tiny bit of the night “with the band”. After the gig, Ben was live on instagram for a few minutes, and well…they seemed to be having a lot of fun! I can imagine they were quite overwhelmed after playing such an intense show, so the afterparty seemed well deserved! Though the band didn’t play any new material, they did confirm that album four will be released this year! Unless they did play something new but the people there were sworn to secrecy by some magical basement people bond..?! Here is what the setlist looked like (magical BP bond aside), so pretty similar to what we’re used to, however in a few months time this is bound to change with so much new material on the way! Again I do wish they had played more of Gameshow this time around. I’ve seen them four times since their come back and though the bands performance and general show does get better, the setlist always seems to be missing some amazing songs, but hey, that’s just me, and I’m sure the band have their reasons! What do you guys think, are they any Gameshow songs you haven’t heard yet and would like the band to play live? Let us know on twitter as usual! We’re also back on instagram guys, I’m running the account for now so do give us a follow! I haven’t really used the BP instagram account so do keep in touch so we know what accounts to keep an eye out for! Room for one more @twodoorcinemaclub? How about a room full of #basementpeople? 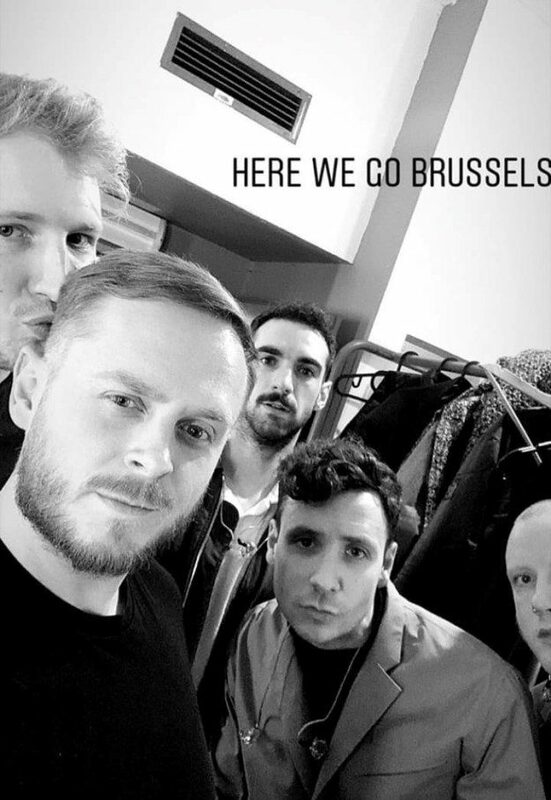 Brussels, get ready to partayyy! I’ll be in touch soon, with updates on the new album hopefully! Talk soon hermanos and hermanas! This entry was posted in Band News, Site News on January 25, 2019 by Saoirse.